Millions of users rely on Grammarly every day to make their messages, documents, and social media posts clear, mistake-free, and full of impact. With just 200 total employees, Grammarly relies on customer experience to keep their 15 million subscribers happy and engaged. Email customization is at the heart of Grammarly’s commitment to customer experience. Through a variety of campaigns, the Grammarly team uses email to inform, educate, and entertain users. Drew Price, Head of Lifecycle Marketing at Grammarly, helped grow the company’s email marketing operations to send out billions — yes, billions — of personalized emails to subscribers with the help of Salesforce Marketing Cloud. Grammarly has achieved success by mapping customer journeys to deliver personalized content. Customer journeys show the paths that a customer may take when they interact with your brand or make a purchase. The lifecycle of the Grammarly customer is split up into impactful journeys that include onboarding, weekly email digests, and upgrading from Freemium to Premium. Grammarly partnered with Salesforce and Marketing Cloud to map customer journeys that guide all their email communications. Check out three journeys Grammarly has pinpointed within their customer lifecycle. Grammarly’s welcome email is more than just a subscription notification. It acts as a handbook to set a customer up for success with the service. This initial communication onboards and informs customers on ways to get the most out of all of Grammarly’s products. The welcome email includes different ways to use Grammarly across devices, tips to get the most out of each service, and important preference settings for newsletters and updates. After the welcome email, a user’s onboarding continues with additional educational emails. The welcome email is one example of the many onboarding communications supporting the customer journey. Grammarly’s weekly digest emails have gone viral! Every Monday, Grammarly sees thousands of social media shares of customers’ Weekly Writing Updates. These automated emails show users improvements in their productivity, vocabulary, accuracy, and more. The team at Grammarly knew that the personalized customer data they gathered every day was a gold mine for personalized communication. 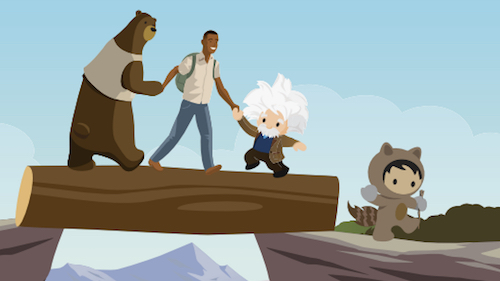 This scalable journey uses dynamic email and data to craft a personalized customer experience through Salesforce Marketing Cloud. Thousands of users share their Weekly Writing Updates on social media every week. Grammarly has an abundance of features beyond those available in its free “Freemium” version. 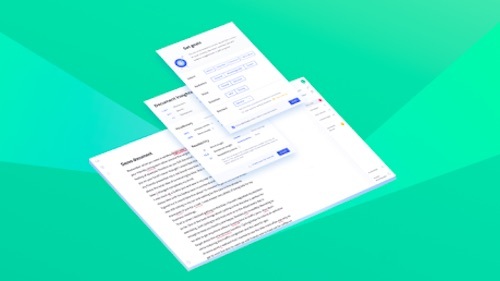 Grammarly Premium assists with advanced elements of writing such as wordiness, vague and hedging language, inclusive word choice, structure, and more. Using customer data, Grammarly determines when a user may be ready to upgrade to Premium. With Salesforce, Grammarly is then able to send automated emails when customers reach this point in the consumer lifecycle. They deliver the right content, at the right time, to the right audience. The first upsell email is sent several days after registration if a user has not yet converted to a Premium account. Grammarly sends additional touchpoints to customers identified as being good candidates for a Premium account. You don’t need an enterprise-sized marketing team to scale customer experiences to enterprise-level sophistication and customization. With the help of marketing technology, Grammarly utilizes key consumer insights to shape journeys and provide value to its customers. Even if your team runs lean, the right martech stack can help you map and personalize customer lifecycles. Not sure where to start? Take a page from Grammarly’s playbook and pinpoint the best content for onboarding, recurring newsletters, and upsell journeys. If you want to learn more about email strategies that convert, join me for a webinar on May 16 as I discuss "5 Tricks to Scale your Email with a Lean Team." with Drew Price, Head of Lifecycle Marketing at Grammarly. Drew will share tactics on how to scale a robust email marketing program based on his experience at Grammarly, along with his 12-plus years working in email marketing. 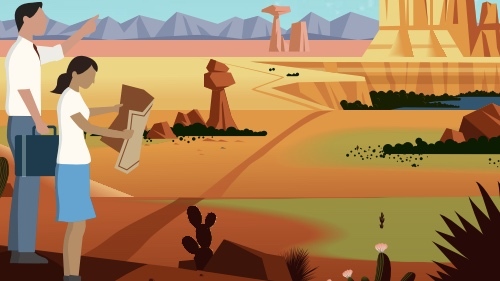 Learn how he’s leveraged Salesforce Marketing Cloud to personalize email marketing campaigns for 1.5 billion subscribers and how you can duplicate his success.